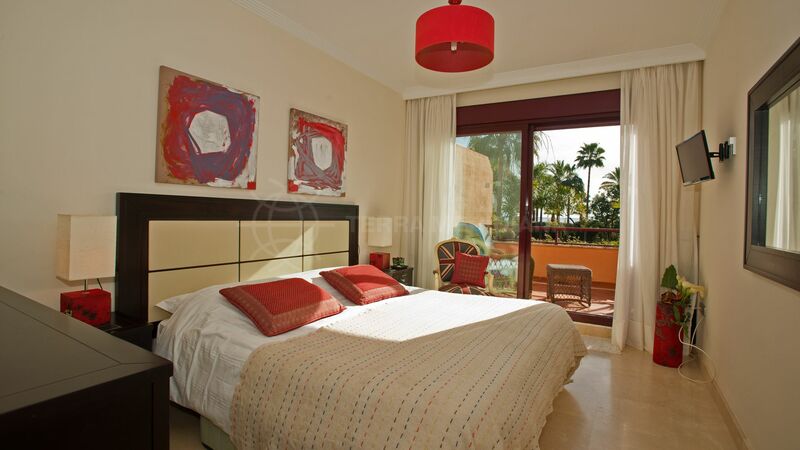 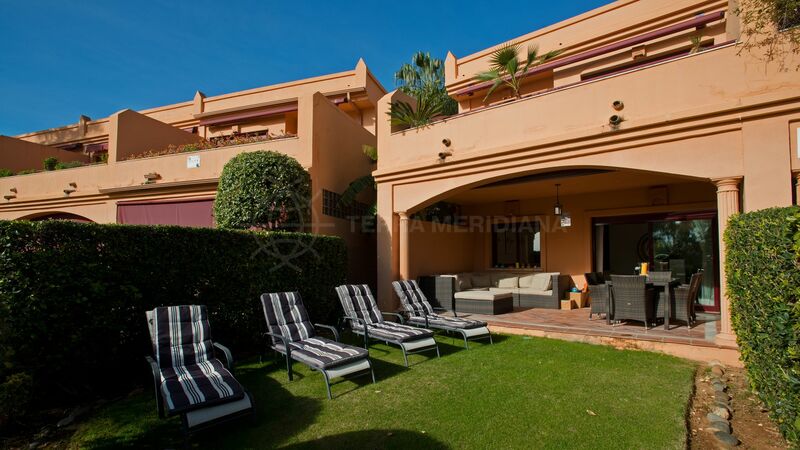 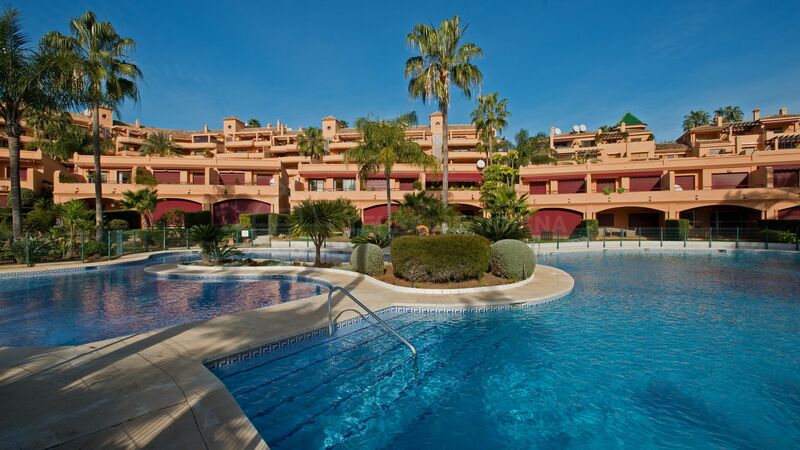 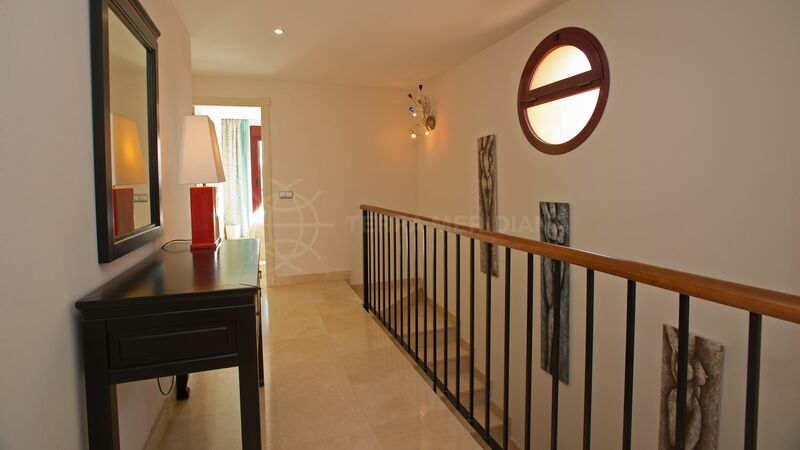 This exceptional townhouse is located in the gated frontline beach community of Riviera Andaluza and is set over 2 spacious and carefully designed levels with the utmost attention paid to comfort. 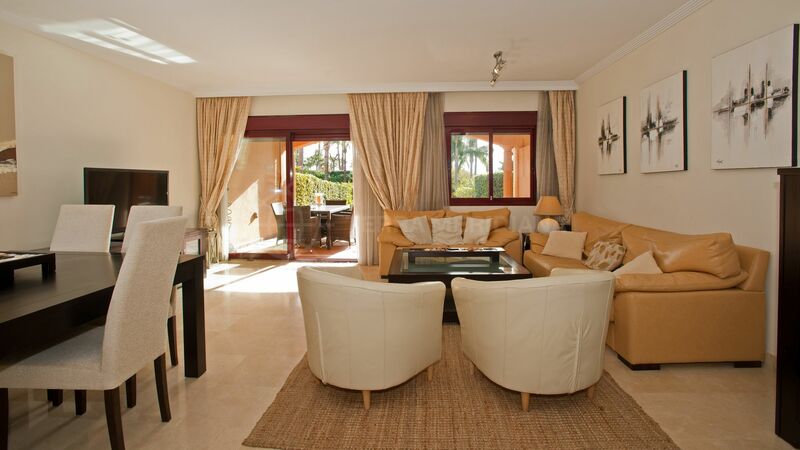 The main floor features an entrance hall, guest toilet, a fully equipped kitchen with breakfast table, utility room, bright open concept living area opening onto the ample covered terrace and private garden. 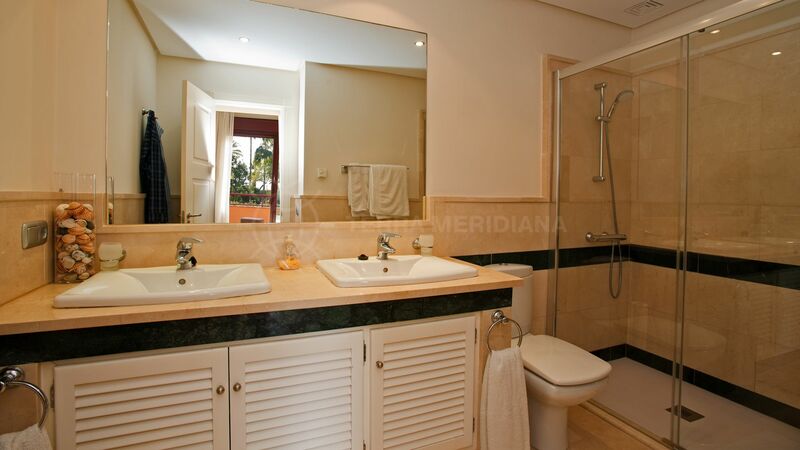 The first floor includes 3 sizeable bedrooms with 2 bathrooms, one of which is ensuite with a walk-in shower and a dressing area, and a gorgeous terrace with far reaching sea views. 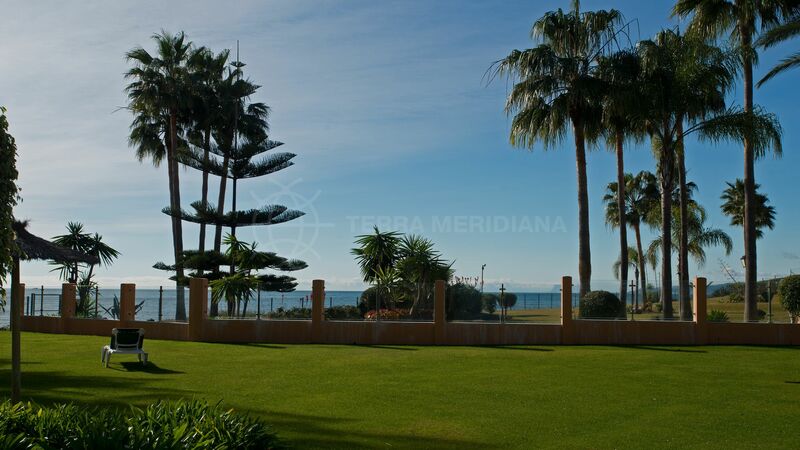 Riviera Andaluza is a quiet urbanisation which boasts direct access to the beach, 20.000 m2 of community gardens and a large pool. 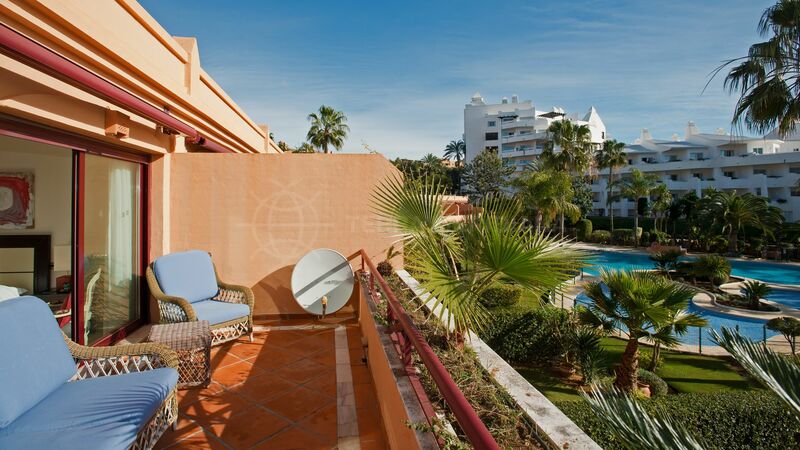 Less than a 10 minutes walk from the centre of Estepona and the charming old town with its lively cafes, small boutiques and restaurants. 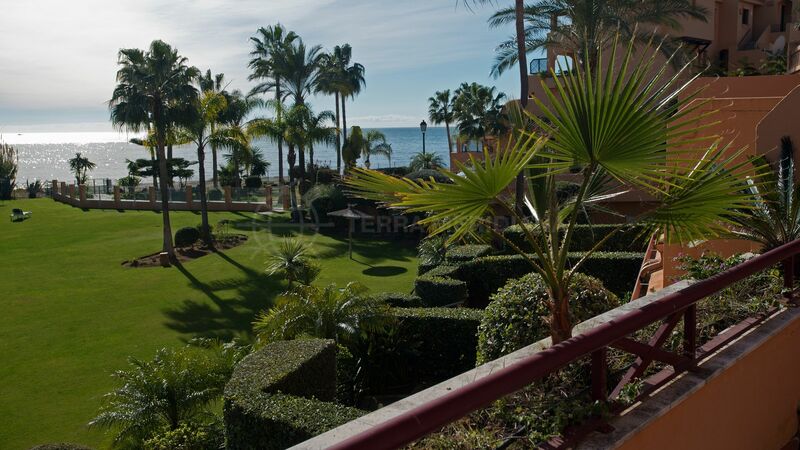 5 minutes walk to the Estepona marina with its array of waterside bars and restaurants. 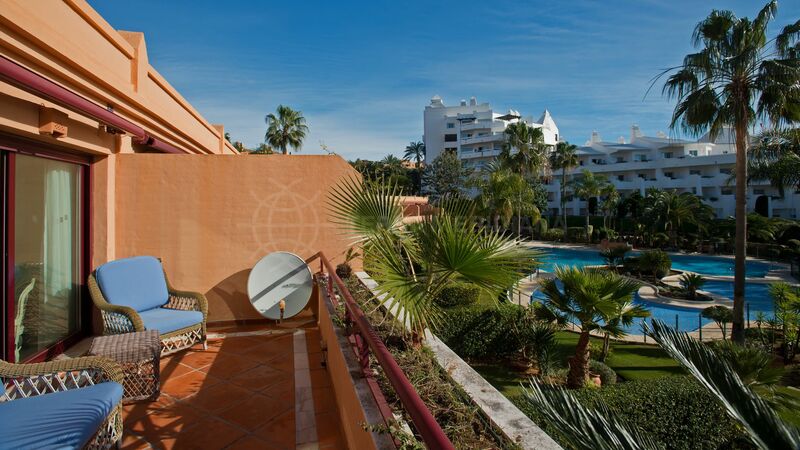 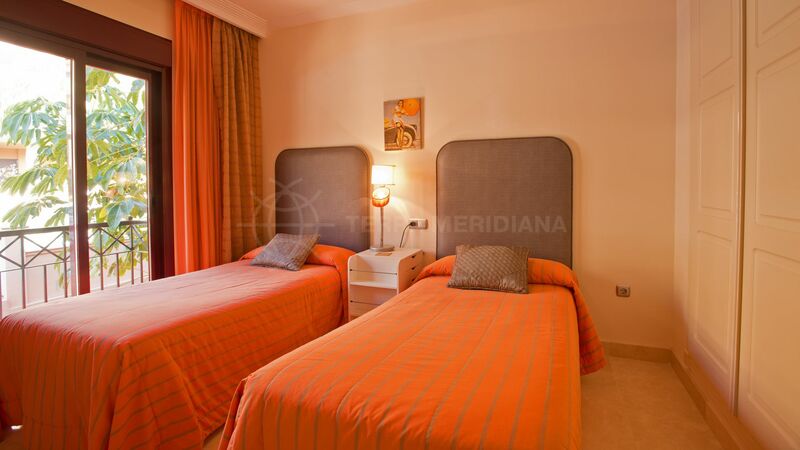 Due to its seafront location and proximity to amenities, Riviera Andaluza is ideal for holidaymakers and permanent residents alike. 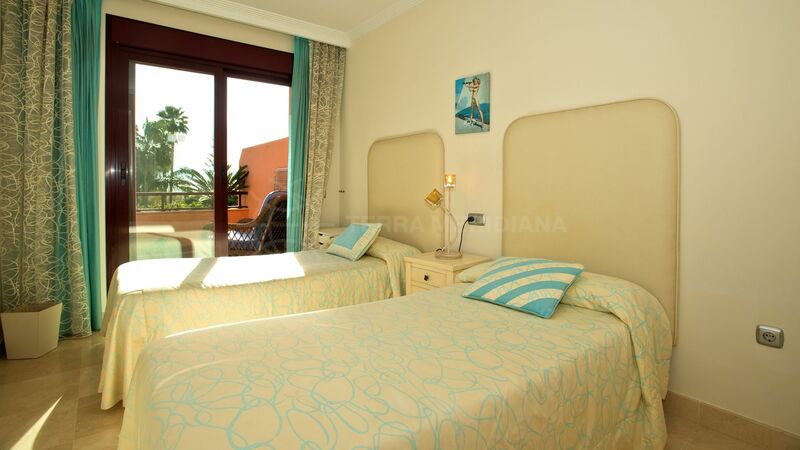 "High living in a tranquil and relaxing beachside setting." 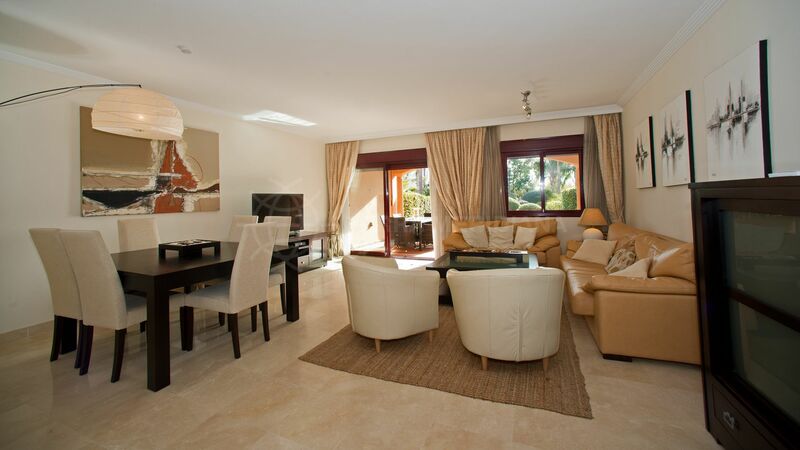 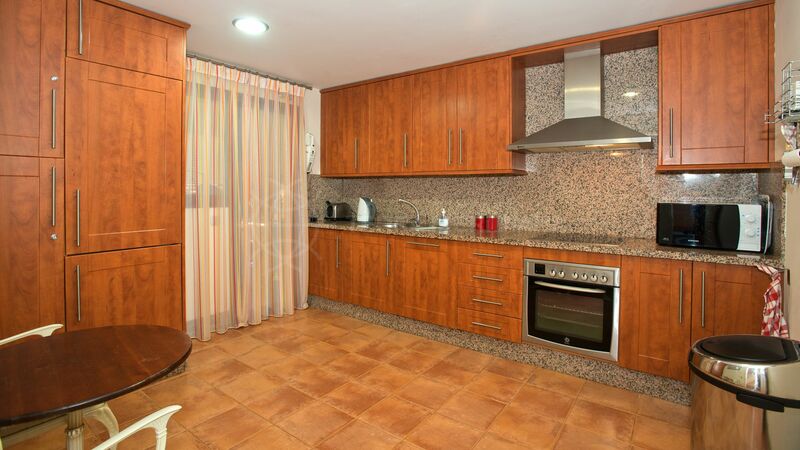 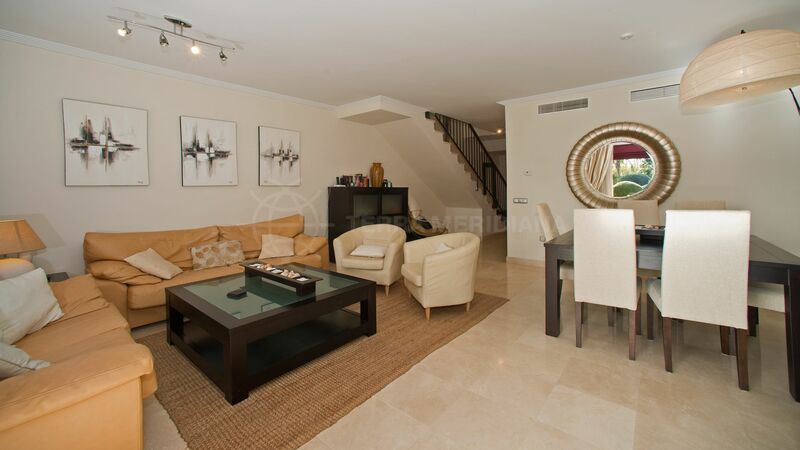 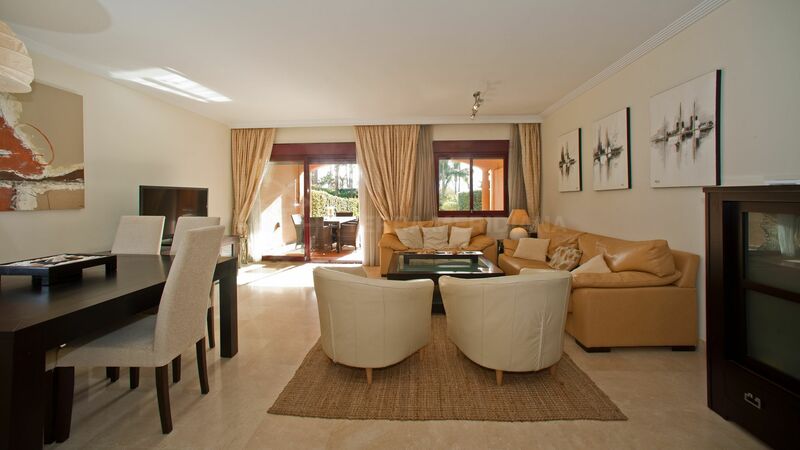 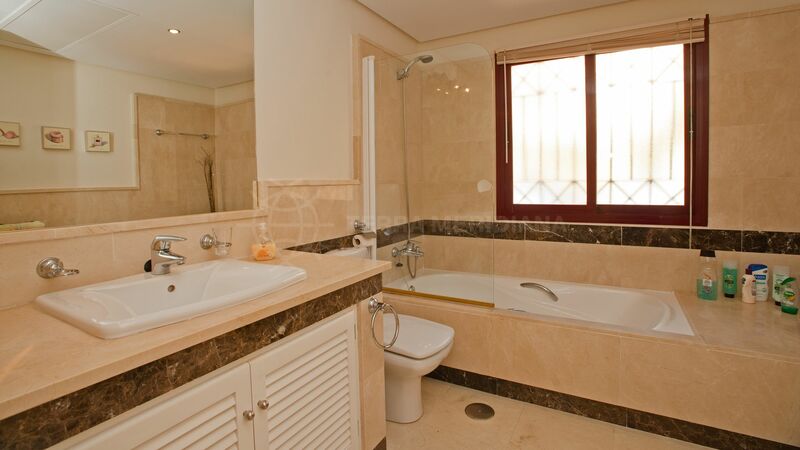 Please, send me more information about ref TMRT11383, Town House in Riviera Andaluza, Estepona or similar properties.